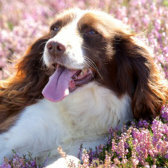 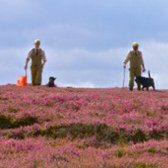 Egton High Moor is approximately 4,900 acres of heather moorland and is designated as a Site of Special Scientific Interest. 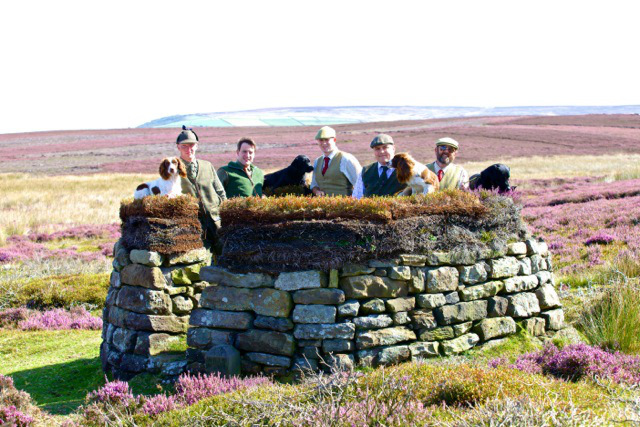 It is on the North East fringe of the North York Moors National Park neighboring Rosedale Moor, Wheeldale and Danby. 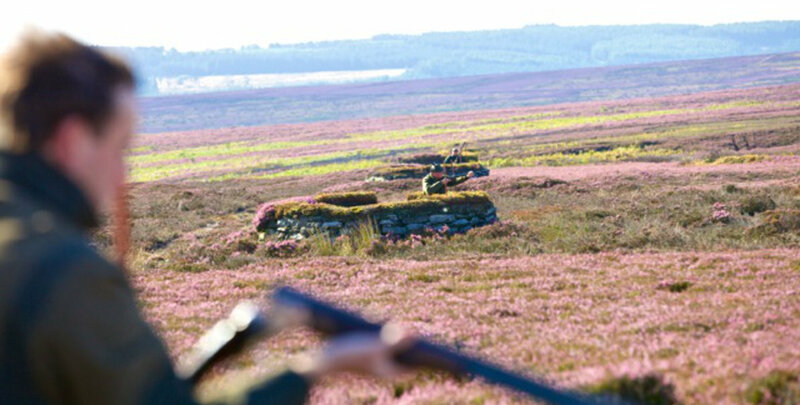 The moor looks across to Whitby and the coast. 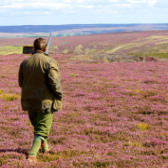 The grouse moor is taken care of on a day to day basis by two full time game keepers, Andrew and Ross who manage the heather moorland habitat for the benefit of all species, particularly waders that live, migrate to and from and breed upon it. 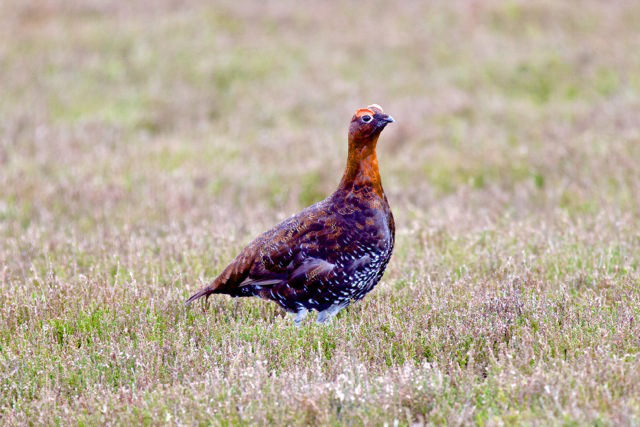 Over and above the Red grouse, other species that benefit from the work undertaken by Ross and Andrew include Golden plover, Lapwing, Curlew and Merlin amongst others. 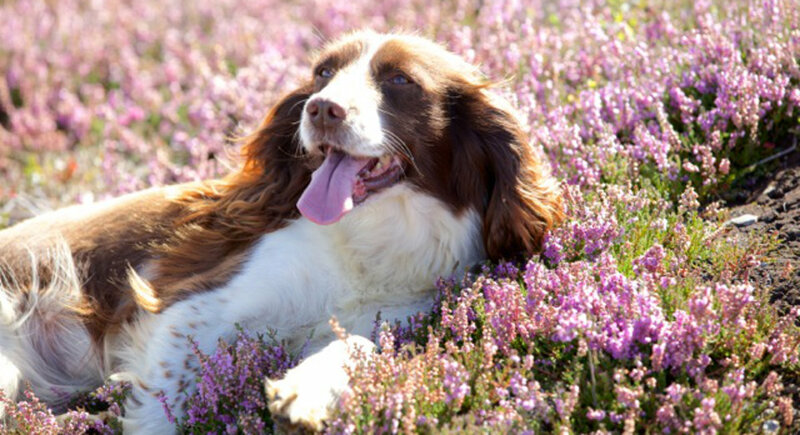 Olly and his team take a huge interest in the heather moorland and continue to manage the landscape to support such a diverse range of flora and fauna. 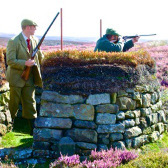 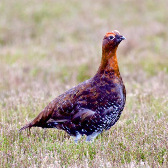 Egton High Moor has two beats over which there is 2 consecutive days driven grouse shooting. 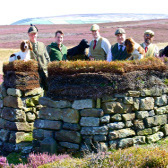 Traditional stone butts dating back to the early 20th Century are located strategically across the moor. 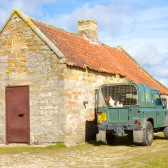 A Victorian stone and pantiled meeting hut is used for refreshments and lunch. 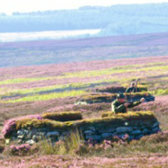 Weather permitting; the tables and picnic blankets are placed outside the hut so guests can benefit from the views across the moor. 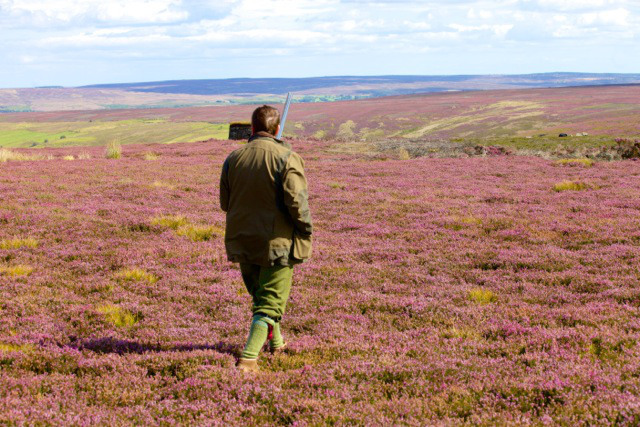 There are approximately 12 traditional rows of grouse butts on Egton High Moor that enable Andrew and Ross to make strategic decisions for driving birds to the guns in all wind directions. 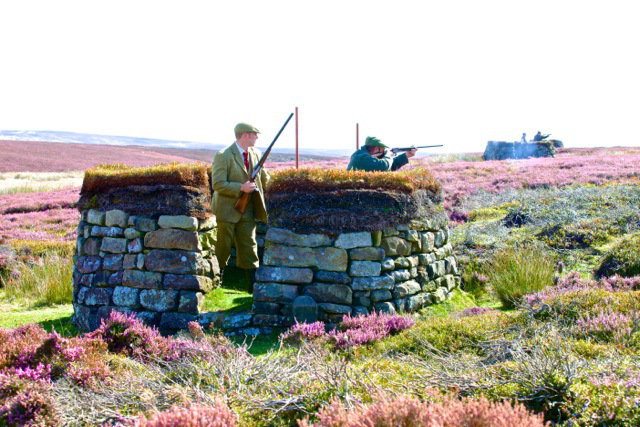 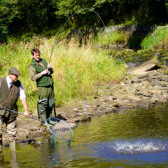 We can offer a minimum of 80 brace days from 1st September right through to November with back to back days available in the early part of the season only. 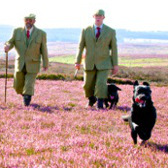 Walked up grouse shooting over pointers is something Olly has enjoyed in Scotland over the years and again, subject to availability this can be arranged with plenty of notice.